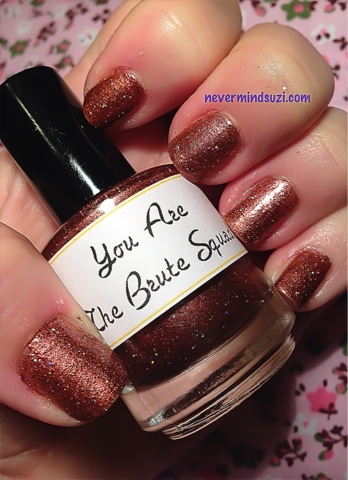 Another fabulous Princess Bride themed polish today from LynB Designs. 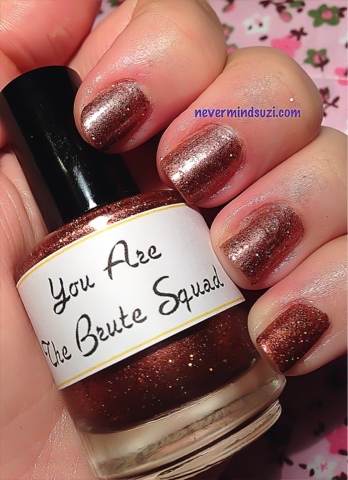 You are the Brute Squad (what Miracle Max says to Fezzik when they're talking of storming the castle) is a beautiful tan brown (it reminds me of Fezzik's skin) with a holographic glitter/shimmer throughout. 2 coats achieved a smooth and full opacity. 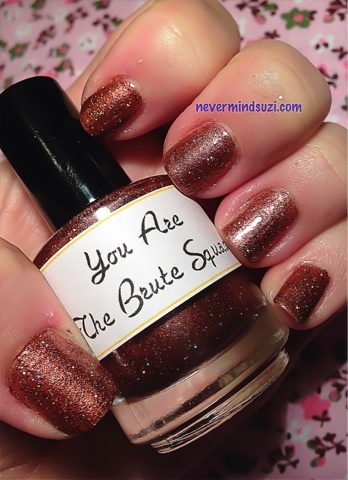 And here's an out of focus shot to show that sparkle. 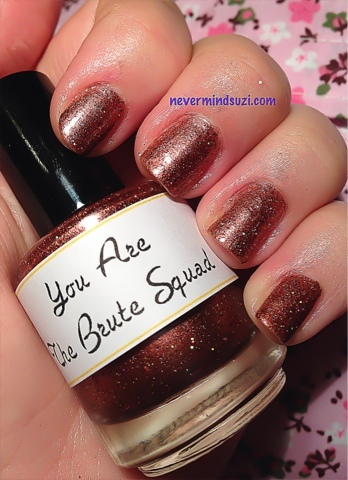 This colour is quite autumnal but I absolutely love it!! Gideon is in it!? Wow I must then :) I'll let you know!